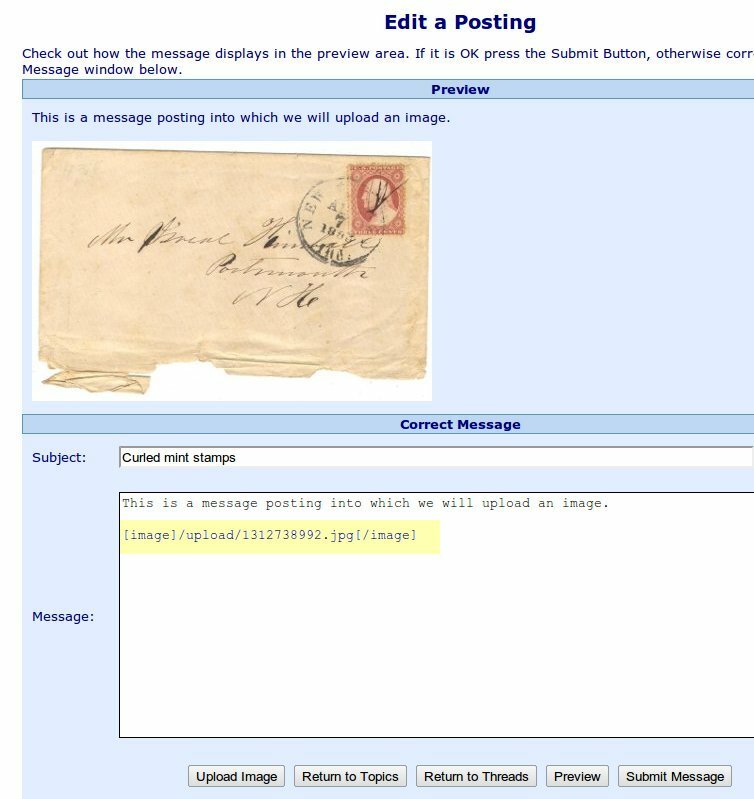 Unlike the old Stamporama Discussion Board, it is now incredibly easy to upload an image into your discussion board message posting and for you to position the image where ever you want to, just by clicking in the text area that you are keying your message into before you start the upload process. 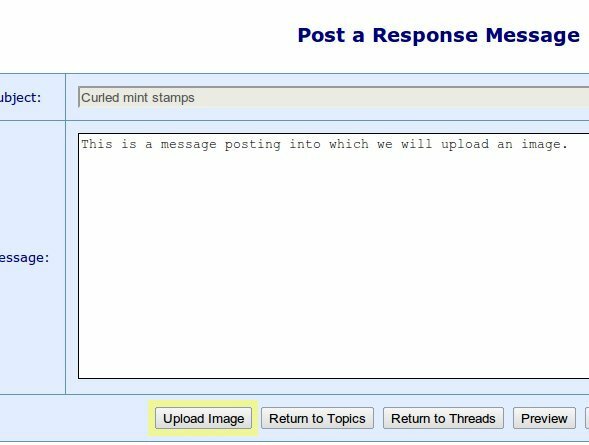 On the screen where you enter your message you will see the Upload Image button underneath the text area that you are keying into. Position the cursor where you want the image to be placed and press the Upload Image button. The Upload control screen will be displayed, asking you to firstly select a file to upload and then secondly to upload it. 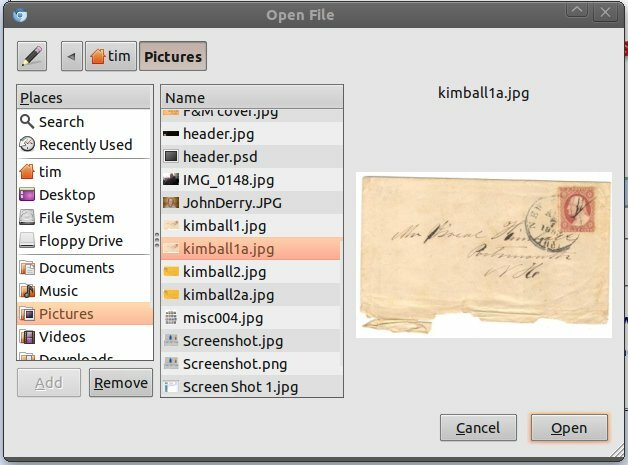 Click on the button to choose a file to upload. Different internet browsers do this step a little differently sometimes, but it will be close enough that you can follow the process. Select the image file from your computer that you want to upload into your message posting. It needs to be a JPG file or a GIF file. Once again, each internet browser looks a little different, but the process is the same. Press the Upload button, your file will be uploaded and it will be displayed in the message posting preview screen. In the above picture you can see the image file that we just uploaded displayed in the preview screen and you can also see the Image tag that the upload process has placed in the message edit area at the position that you had placed your cursor prior to starting the upload process.